(CNN) -- The cities of Annecy, Munich and Pyeongchang will battle it out to host the 2018 Winter Olympics. 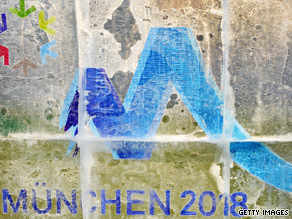 Munich is aiming to become the first city to host both the Summer and Winter Olympics. The International Olympic Committee have confirmed they have received applications from France, Germany and South Korea ahead of this week's deadline. The IOC will now decide which of the applicants will become official candidate cities, before they undergo a full evaluation process. The final decision will be made in July 2011. France has hosted three editions of the Winter Olympics, most recently in 1992 in Albertville. Munich confirmed its run for the 2018 Games by officially launching the bid at the IOC's headquarters in Lausanne, Switzerland earlier this month. Should Munich -- together with the sporting facilities in Garmisch-Partenkirchen and the Berchtesgadener Land region -- get the vote from the IOC in July 2011, the scene would be set for another chapter in Olympic history. A city has never before hosted both the Summer and Winter Games, and Munich is now attempting to duplicate its success in attracting the Olympics back after hosting the 1972 Olympics. Pyeongchang formally submitted its bid last month. The city narrowly failed in its bids for 2010 and 2014, losing by three votes to Vancouver for next year's event and by just four votes to Sochi for the 2014 event. The runners and riders for the 2018 Winter Olympics were shortened earlier this week after China's Sports Ministry decided against backing bids from Harbin and Changchun for the Games. The move signalled an about-turn from the authorities after September saw the Chinese government announce it would throw its weight behind bids from any of its cities for the Games.